Does anyone else experience the problem of summer produce? The tendency to totally overbuy – “just look at these berries, I have to buy ALL of them!” – and then later in the week the realization that the fruit flies have taken over your kitchen and that fruit has seen better days? Of course, throwing them in the compost would be an insult to the beauty of summer fruit, not to mention, just another contribution to our huge problem of food waste. All fruit and vegetables must be put to good use. 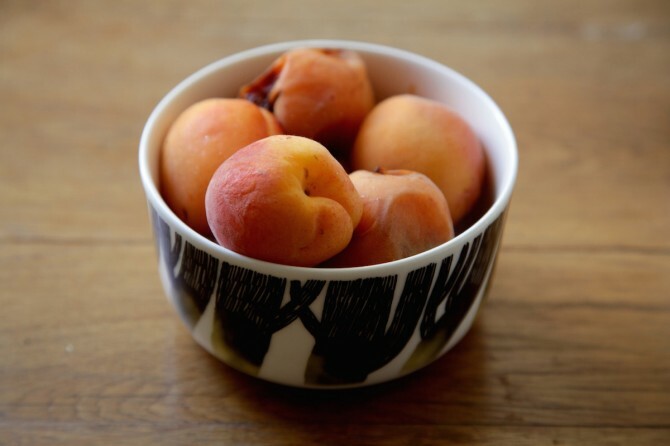 That is what this recipe is for, perfect for apricots that have gone a couple of days past their prime, whether that’s in your kitchen or at the market. A bruised apricot never hurt anyone, and there’s no reason you should skip over it for its younger, better looking counterpart. 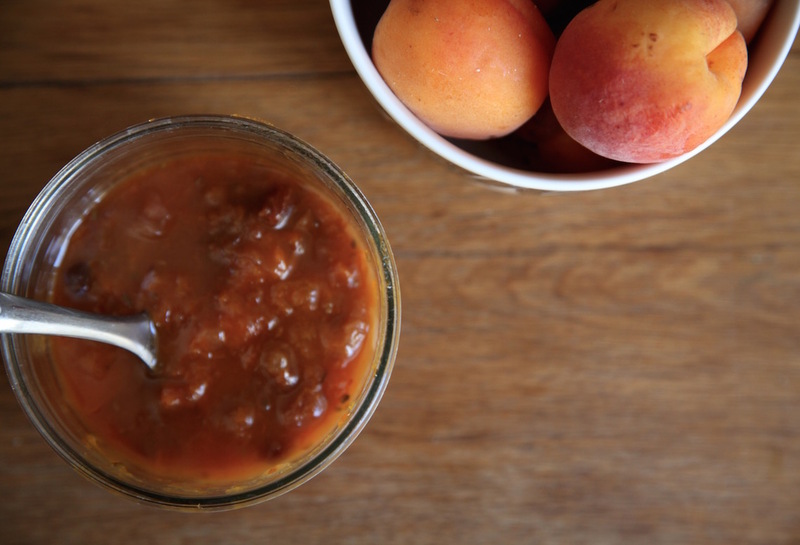 Chutney is wonderful because it basically gives you the excuse to eat jam with every meal. And who doesn’t want that? 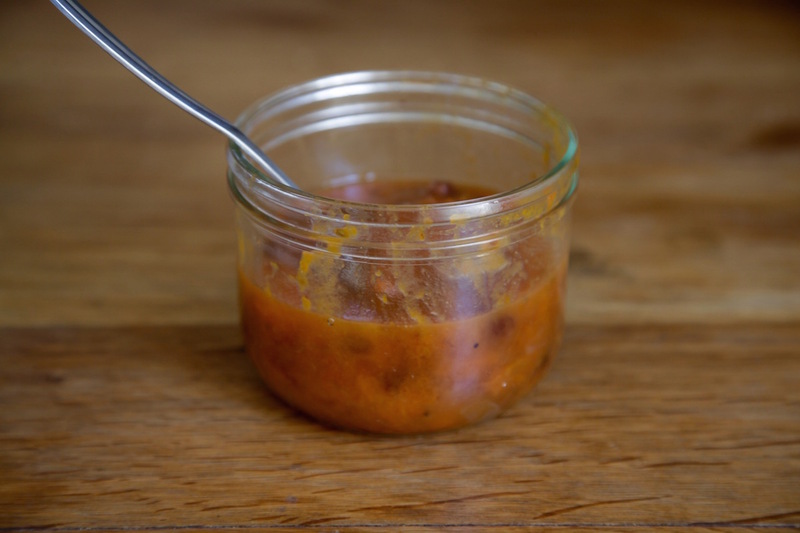 This sweet, yet slightly tart, chutney pairs excellently with goat cheese, or on grilled vegetables. Thinly slice the onion, and place in a saucepan with a couple of tablespoons of olive oil. Sauté over medium heat until the onions are transluscent. Add the rest of the ingredients to the saucepan and let simmer over medium heat for about 30 to 45 minutes, until the chutney has thickened. 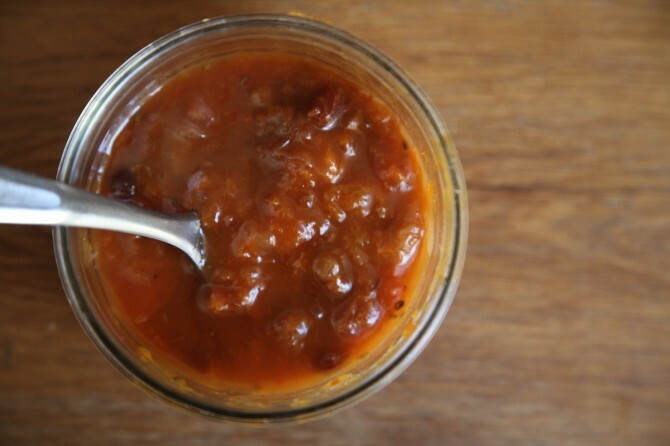 Pour the chutney into clean glass jars and seal. Store in the refrigerator. Will hold for a couple of weeks.